Free high resolution photo of a planter overflowing with lavender and magenta colored petunias. 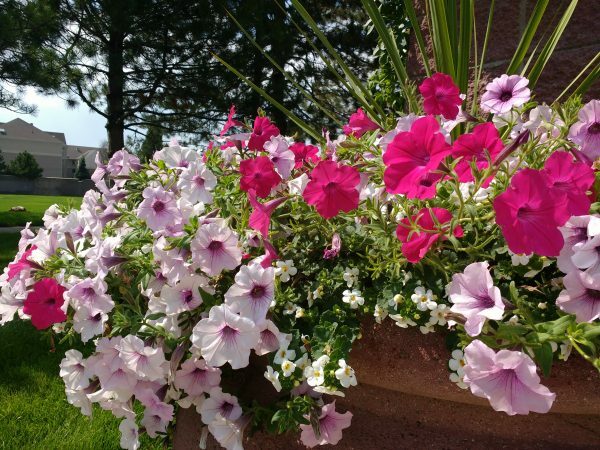 Petunias are a beautiful annual flower that are easy to grow and bloom all summer long. This image shows petunias as well as a few other flowers and plants in an earthenware pot or planter. Free image for any use.